DeLores Marie Wilson was born in Colome, South Dakota on Feb. 8, 1935, to Walter and Nellie (Schnabel) Blakkolb. She passed away on October 10, 2016, in Phoenix, Arizona. In 1950 Dee and her family moved to California for one year. 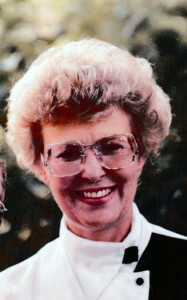 Although the family moved back to Winner, Dee remained in California with her grandparents until she graduated from Sacramento High School in 1953. 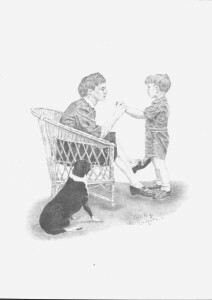 She then returned to Winner where she met Chalmace G. Wilson, married, assisted with operating the Rosebud Motel, and raised their three children, Tracee, Linc, and Shannon. In 1963 Dee and C. G. built their dream house, ‘the house on the hill with the orange doors’. Dee applied her skills to make it a one-of-a-kind home that highlighted her creativity, love of color, and flashy style. Her home was a welcome environment to all, as many will attest. listening to music, dancing, working in her rock garden, sewing, knitting, crocheting, attending the Trinity Episcopal Church, watching games at Leahy Bowl, and hosting family, friends, and the Texas pheasant hunters. She also enjoyed her jobs and co-workers while working at J.C. Penney’s, and as a secretary at Winner High School, Winner Police Station, and the State’s Attorney’s Office. Dee and C.G. loved to travel and golf together. Eventually they found themselves spending winters in Arizona where they enjoyed golfing and warm weather. AAA projects 43.5 million Americans will take a road trip this Thanksgiving – including 142,500 South Dakotans – and drivers will pay the second-cheapest Thanksgiving gas prices since 2008, when the national average was $1.85. Today’s national average price of $2.14 per gallon represents a savings of three cents per gallon versus one week ago and nine cents per gallon on the month. Significant yearly savings persist and pump prices are only five cents higher than compared to last year. 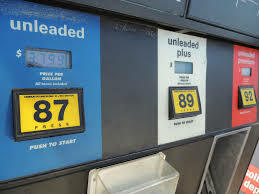 South Dakota’s pump price has dropped 6 cents since last week to stand today at $2.139, according to http://gasprices.aaa.com. The South Dakota Game, Fish, and Parks (GFP) Commission voted to allow ice anglers to clean fish species, while on the ice, that do not have water-specific size restrictions. 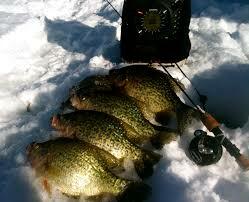 Anglers fishing multiple days will also be able to keep a legally caught possession limit of fish while on the ice. Anglers would still have to adhere to the fish transportation rule that requires fish to be readily countable. These changes are effective Jan. 1, 2017. A 28-foot tall Colorado blue spruce from Huron has been chosen to serve as the featured tree in the South Dakota State Capitol Christmas tree display. 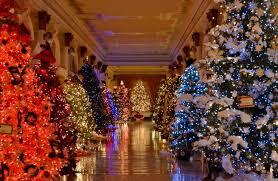 The South Dakota State Capitol Christmas tree display will be open to the public from 8 a.m. to 10 p.m. daily from Nov. 23 through Dec. 26. Two Winner men convicted of criminal trespass were sentenced on Nov. 10 by U.S. Magistrate judge Mark Moreno. Jeremy Schroeder and Kirby Kartak, both 37, were sentenced to jointly and severly pay the Rosebud Sioux Tribe $600 in restitution, to each pay $300 fine, to write letters of apology to the Rosebud Sioux Tribe and to pay a special assessment to the federal crime victims fund in the amount of $5. The convictions stem from an incident that occurred on Dec. 2, 2014. Schroeder and Kartak, drove heavy equipment into the Oyate Whacanku spirit camp near Rosebud and removed approximately 30 large hay bales which were being utilized to form a windbreak at the camp. Schroeder claimed to have an ownership interest in the hay, which was harvested on a separate tract of land owned by the tribe. Schroeder had previously leased the land on which the hay was harvested. The spirit camp was designed as a cultural and spiritual camp for activities associated with tribal opposition to the construction of the TransCanada Keystone XL pipeline. Several tipis and a sweat lodge were erected at the camp and the camp was blessed by tribal spiritual leaders. With the first snow of the season, city residents are reminded to slow down when driving and be careful when driving on ice. The Winner Police Department reminds drivers to clear the winds before hitting the road in winter weather. Also clear snow from headlights and back brake lights. After a snow fall, the city will issue a snow alert and persons are reminded to listen to the radio or watch for notices on TV. 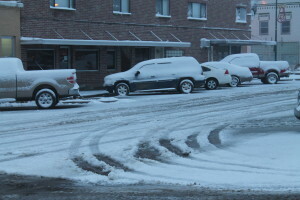 During a snow alert, vehicles need to be removed from the street until the street is plowed curb to curb. Persons can also sign up at the city office to get notices of alerts on their smart phones. Persons are also reminded when a storm is approaching to get campers and trailers off the street so roads can be plowed. 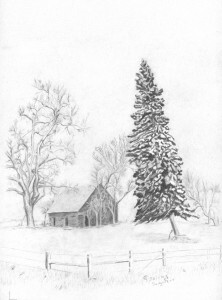 Shirley Daughters Hamill won two awards at the SDHCA Dakota Masterworks art show Nov. 3-4 in Sioux Falls. The show features art created by artists age 60 and older who are South Dakota residents. This year’s show included more than 190 entries, making it one of the largest Dakota MasterWorks ever. The Hamill artist has won numerous awards at this art show. In past years, she has also been the people’s choice winner at this show. “The SDHCA Dakota MasterWorks art show is about highlighting the remarkable artistic accomplishments by older South Dakotans,” said LuAnn Severson, art show coordinator. Categories included watercolor painting, oil painting, acrylic painting, drawing/pastels, photography, sculpture and wood carving. First, second and third, best of show and people’s choice will be on exhibit at the Ramkota Hotel in Pierre during the SDHCA legislative reception on Jan. 24, 2017. 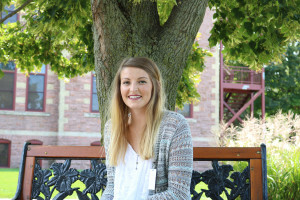 Dakota State University student Sharee Galbraith is student teaching during the fall semester in Harrisburg. Galbraith is an elementary education/special education major from Winner. To be accepted into the teacher education program, students must maintain a 2.6 cumulative grade point average and a 2.7 in their major. They must successfully pass the Praxis Pre-Professional Skills Test and the Praxis content exam in their area of preparation, and successfully complete all coursework and field experiences. Candidates work in multi-cultural settings, special education classrooms, regular education classrooms, and volunteer settings with K-12 children prior to acceptance into student teaching. The majority of student teachers are placed in districts within a 60-mile radius of Madison. 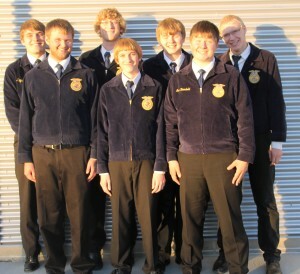 Winner High School FFA took 27 students to the district leadership development event with 16 advancing to the state contest which will be held in Pierre Dec. 4-5. The district event was held in Mitchell on Nov. 14. In individual events, the district sends the top 3 and in team events the district sends the top 2 teams to state. Ag issues, 2nd, Daesha Klein Ronae Klein, Kayla Bachmann, Luke Hennebold, Sam Marts, Avery Gilchrist and Payton Antoine. The alternate team was the junior parli procedure team made up of Abigail Pajl, Ryder Mortenson, Heather Rowe, Dawson Phillips, Phillip Jorgensen, Joren Bruun and Loren Moeller. Elected District IV treasurer was Luke Hennebold. 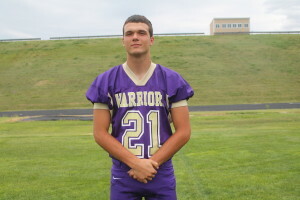 Cameron Kuil of Winner has been named the Midco Sports Class 11B player of the year. The Winner senior helped Winner to back to back Class 11B football championships. He rushed for 937 yards and scored 14 touchdowns this season. He had 12 receptions for 305 yards and 4 touchdowns. On defense, Kuil had 23 tackles, 5 interceptions (2 returned for TD).